Welcome to round three of Sourcerer’s Eleven. An interview series where contributors within the site get a shot in the big chair. The Instigator-In-Chief, Gene’o interviewed Luther Siler, who then put me through my paces, so now it’s my turn *rubs hands together*. 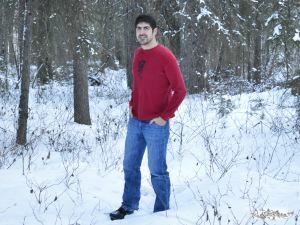 In the hot seat today is Joshua Robertson, author of Melkorka (Book 1: Thrice Nine Legends), and A Midwinter Sellsword (Book 1: Hawkhurst Saga). You recently released Gladiators and Thieves, book two of the Hawkhurst Saga. Can you tell us a little about that series and how it came about?